People | WHY DID YOU LEAVE JAPAN? 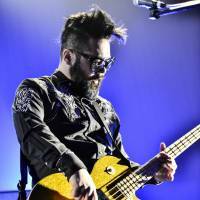 A veteran of the U.K. music scene, Takashi “Taka” Hirose has been playing bass guitar in popular British indie-rock band Feeder for more than two decades. As chilled off stage as he is energetic on it, the 50-year-old Gifu Prefecture-native reminisces about his time in the group, which began back in 1994 when he posted an advertisement in the English magazine Loot. It was while sitting at a bar, Hirose was told that he looked like a musician. Hirose, who worked at a guitar factory and a bar in Japan, moved to England in 1992 with the intention of studying graphic design. As courses proved too expensive, he took a job with the Japanese newspaper company The Chunichi Shimbun, which also publishes The Tokyo Shimbun, where he researched news stories in the U.K. and Europe. “I enjoyed it, but as Feeder grew I felt the need to choose one or the other,” he says. “From the outset, Grant and Jon were very serious about making a go of the band, while I saw it as a hobby. I, therefore chose to quit the group and focus on my work. It proved a wise move. Feeder gained a cult following while on the road and the band’s early albums, while not hugely successful from a commercial perspective, received critical acclaim. Things really started to take off for the trio in 2001, following the release of the single “Buck Rogers” and the LP “Echo Park,” with both entering the U.K. charts at No. 5. That same year, “Just A Day,” initially a B-side, spent four weeks in the top 20 after featuring in the PlayStation game “Gran Turismo 3: A-Spec.” It was the group’s last single with Jon Lee, who tragically took his own life on Jan. 7, 2002. The news of Lee’s death hit both the remaining members of Feeder hard. Nicholas chose to exorcise his demons writing songs, while Hirose did some soul-searching in Japan. After his return to Britain, the pair discussed the situation and agreed to carry on. They recruited former Skunk Anansie drummer Mark Richardson, and in October 2002 released “Comfort in Sound,” a mellow album that touched on their anguish. Many regard it as the group’s best record to date. Boasting a loyal fan-base, Feeder continued to thrive. In 2003 it was named Best British Band at the Kerrang! Awards. CD sales remained strong and live shows sold out around the globe. Hirose’s native Japan was often the country where they were most well-received and in 2011, following the Great East Japan Earthquake and tsunami, Feeder released the single “Side by Side,” with all proceeds going to the British Red Cross Japan Tsunami Appeal. 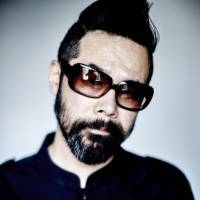 Wanting to play more in Japan, Hirose formed Muddy Apes with the Japanese band Luna Sea’s frontman Kiyonobu “Inoran” Inoue in 2012, while Feeder were on a hiatus. Other side ventures of Hirose’s include an English cooking website (www.cookmejapanese.com) introducing Japanese dishes ranging from chicken katsu (breaded and fried) curry to tofu salad, and ReBirth Custom Guitars, for which he rebuilds and customizes unwanted guitars and sells them for a small profit. 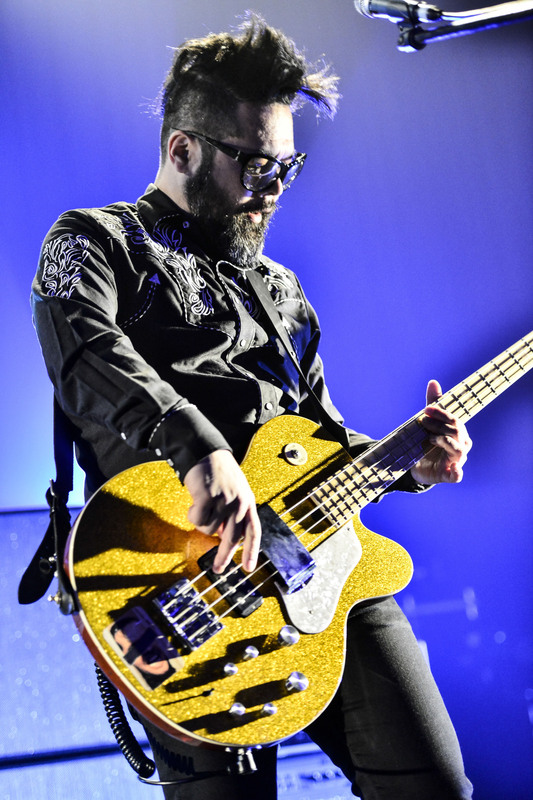 Feeder, though, remains his main passion and while sales are not what they once were, the band is still going strong. Last year it marked 21 years since the release of the debut record “Swim” with a 41-track greatest-hits package and the mini-album “Arrow,” featuring nine new songs. 1992 — Moves to the U.K.